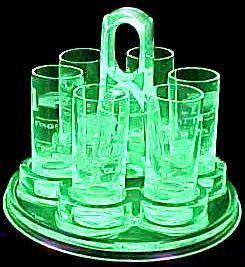 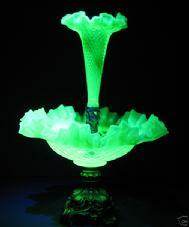 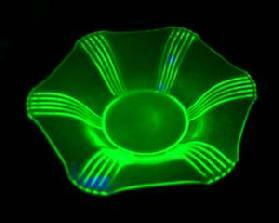 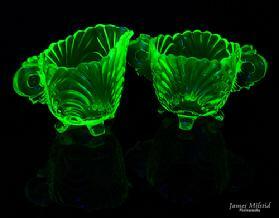 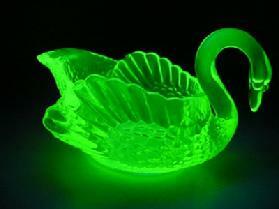 Vaseline glass is a type of glassware that was produced primarily from the 1880s through the 1920s, by adding small amounts of uranium dioxide to the formula to achieve a fluorescent, glowing yellow-green color. 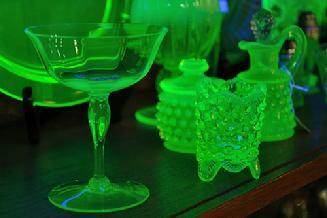 This unique glass is often rumored to be dangerous, but proponents claim that the uranium dioxide lets off only slightly more than the normal background radiation we're exposed to daily. 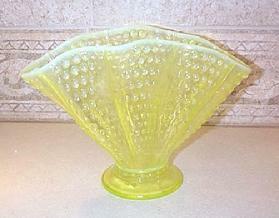 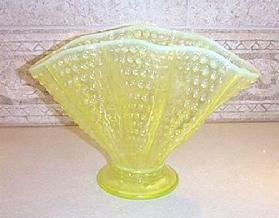 Vaseline glass was used for all sorts of glassware, including decorative pieces, tableware, and perfume bottles.